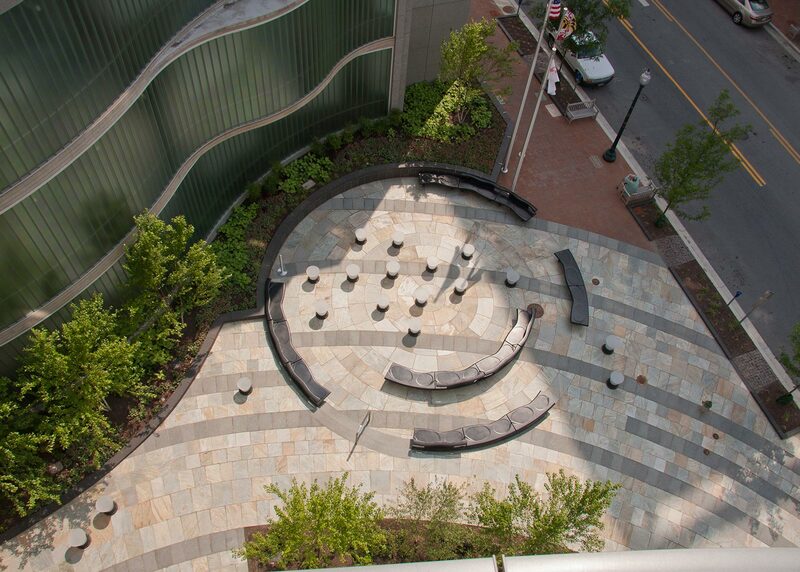 For the new international headquarters of the United Therapeutics Corporation, OvS developed an urban corporate campus that integrates retail and restaurants with streetscape, plazas, and fountains. 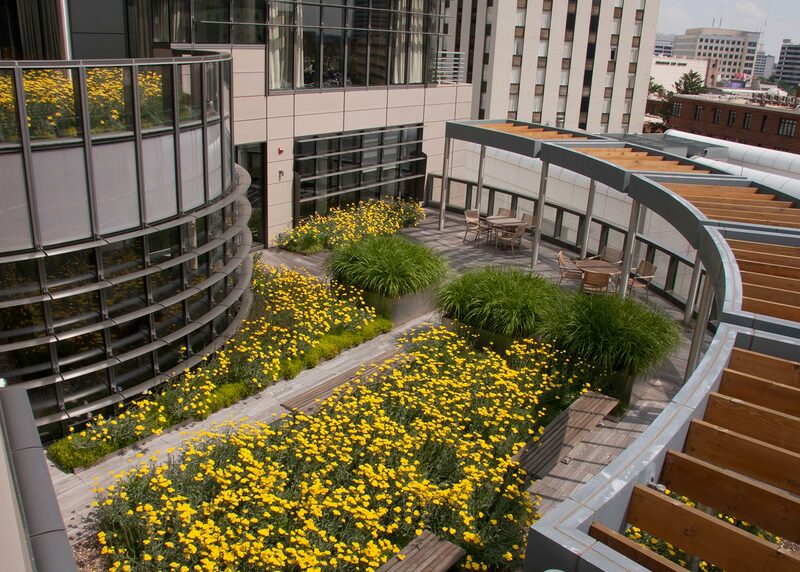 In addition, three levels of “green terraces” are accessible from many offices, workstations and conference rooms. 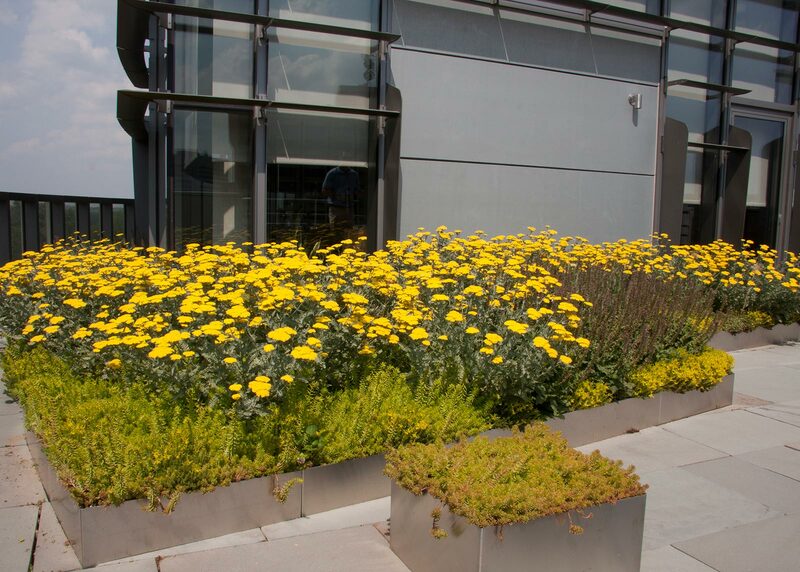 Cutting-edge greenroof design was employed to accommodate extensive planting on the terraces of this LEED Gold awarded building. 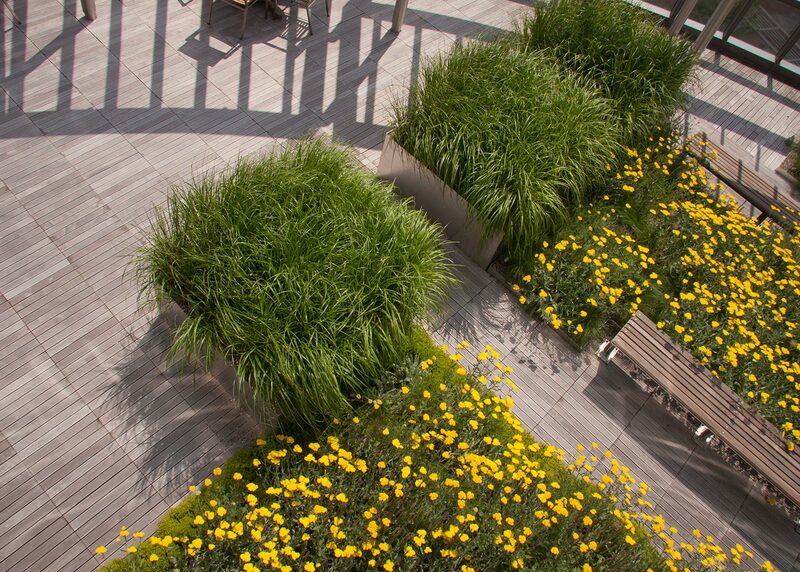 The design emphasizes sustainable plants that are appropriate to limited soil depths and tolerant of the dry, windy conditions that prevail high above street level. As members of the design team, OvS received the 2010 Award of Excellence for new Building Design and Construction from the US Green Building Council for accomplishments in sustainable design and green practices.